After 5 years of gathering together every Tuesday (or at least almost every Tuesday) it has come the time to take a look at ourselves and how we are doing. With Arma 3 getting put through its paces and most scenarios having been tried we are getting to a point where some if not most are of the opinion that Tuesday evenings just aren't very compelling anymore. A great many have come and gone and moved to other games, communities or perhaps even non gaming related activities. This has resulted in our participation numbers having a steady declining trend. It is true that in our past decisions have been made or things have been said or actions haven't been taken which have directly resulted in people leaving but for a great many it was just a case of having seen enough. Those of us that still come together every Tuesday do so for eachother. We come together to spend some time with likeminded people while doing an activity which most of us still like and none of us mind. After discussions among staff and a consequent poll we have decided to make a few changes which will be outlined below. We hope to keep this community going if not going strong up to the release of Arma 4 where we can look to kick-start our way back to the days of 50 people attending and large scale combined arms operations. Firstly, we will be changing the schedule for operations. Instead of every Tuesday we will be gathering together on Saturdays. Additionally, instead of gathering for an Operation every week we will be doing it every other week. Our first Operation will be on the 22nd of September. We don't intend to do separate training nights anymore, instead if we feel we need to cover some aspect or another for greater success we will have a short session at the start of an Operation. For the immediate future we will not be changing the start and end for the Operations but we do intend to extend them from one or both ends as we get an idea of what is plausible for the attending members. Secondly, for the other Saturdays on which we don't have an Operation we plan to host community evenings. You can expect anything from Escaping Tanoa to pawning noobs in <insert game of the month> together. We haven't quite figured out the specifics for these evenings, but we will be working them out as we go. The goal, of course, is to involve everyone showing up and make sure everyone has a good time. Thirdly, due to us having lower attendance and missions going more towards speciality tasks we are readjusting some limitations on our in-game gear restrictions. We will be slightly decreasing the limitations on scopes as well as allowing rangefinders regardless of role. We hope to see a few of you that have left us previously for greener pastures back, share a great time and more importantly spend the time while awaiting the arrival of Arma 4. It has been coming for a long time but finally we got off of our procrastinating butts and sorted the situation with the staff members. Both RustingKnight and Ville have decided to step down not being able to devote the time time they would like to Arma 3 and Reach. The rest of the staff is immensely grateful for for their input, work, opinions and time you have invested in Reach. Thanks Rusting and Ville. Below some words from Rusty and Ville. I am writing this post as an official and long, long overdue notification of my departure from the operational ArmA 3 community within Reach and the subsequent resignation from my staff position. I had an incredible few years playing, working and leading with Reach but my interests and real life circumstances changed to the point that attending a regular operation every week stopped being practical. To those of you still around who remember me, thank you and goodbye. And with this announcement also comes my departure from the staff team. Before I get in to the sappy last words, I must emphasize that this involves zero drama behind the scenes and we have both merely agreed to step down due to our inability to commit more time to Reach. We discussed this last summer and were meant to do this much, much sooner. As most new people don't even recognize our names, we figured this move had to finally be made. Creating Reach back in 2013 was one of the most exciting projects I've ever been a part of, and to see where we've gotten and the ride we've all been on since has been very fun to follow. I am immensely proud and grateful of all of the people who helped me and liam to turn a wacky idea we had to a fully-fledged community. Without your contributions and dedication we would still be in the "humble beginnings" part of our story. We've had many ups and downs but in the end I feel that ultimately the strong sides of our community have finally started to shine. Thank you to everyone who took the time to help create what this community is. Thank you to those who worked to ensure we would have a new website to call our home. Thank you to those who created all of the beautiful art, whether it's screenshots, videos or something else to share with the world. Thank you to the instructors who've helped our new members get introduced to the community. Thank you to all team leads for ensuring operations run smoothly. Thank you to those who spent time creating fun (and sometimes very chaotic) missions for us to play every week. Thank you to everyone for turning up and helping everyone have a fun time. I want to thank all of you for the years together and thank you for everything you've all done for Reach. You will still be seeing both Rusty and Ville around discord and other games I imagine so they won't be leaving us completely. We can't get rid of staff and not have someone else come help us out so for that please everyone congratulate (or commiserate) Saquesh who will be stepping up to take 1 of the slots left vacant. Besides being guardian for us on the Tuesday ops he has already been running some of the day to day around the community helping us out. In other news Ace will be getting an update over the weekend so keep an eye out for that. Pack your swim suits, folks! It is that time of the year again. This coming Thursday, Reach Elite Forces turns two and to celebrate it we have a week full of great events in Arma 3. To start it off, we'll be hosting our official anniversary event tonight, on the 8th of September! If you are a member and want to play with us, head on over to the forums and leave your name to this thread so we'll know you're coming. But that's not all we have in store for you this week. We'll also be hosting a milsim op on Thursday, to which you can sign up in this thread. And if that's not enough for you, worry not for we've got yet another event on Saturday! Hosted by Mindstorm, you can participate in the re-run of his successful fun event from a week ago! To sign up for that mission, head over to this thread. In addition to these three events, we've also launched our very own public server for the Exile mod. This server is open for anyone to join and you can find it by searching for ReachEliteForces.com in the in-game server browser. Note that the server may be down during our community operations! Hopefully this selection includes something you will enjoy! 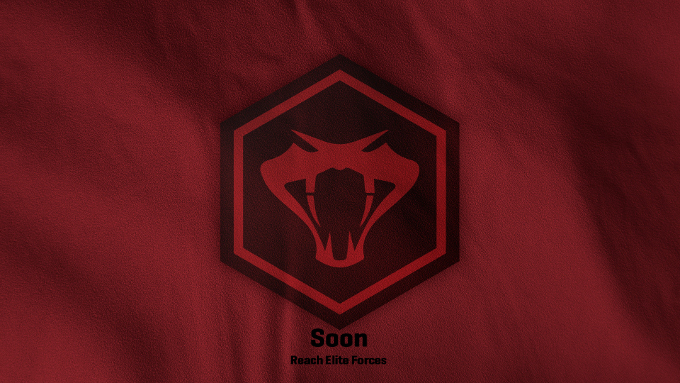 We want to welcome you to join us in celebrating the second anniversary of Reach Elite Forces! The donations will fully go to the upkeep of the servers. Read more. 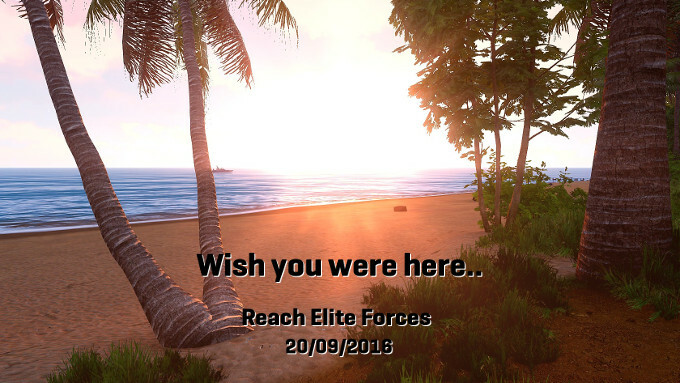 Reach Elite Forces is a community focused on providing a high level of immersion in ARMA 3. 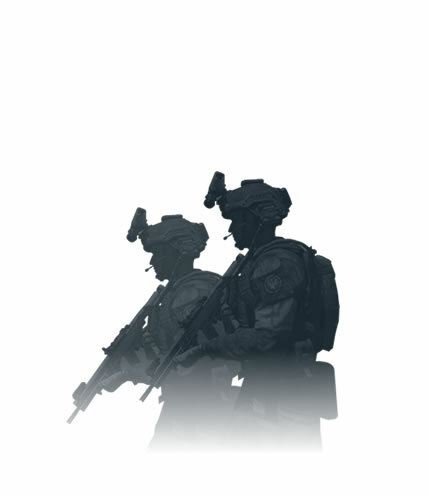 Experience platoon level organisation during combined arms missions designed for Reach Elite Forces.